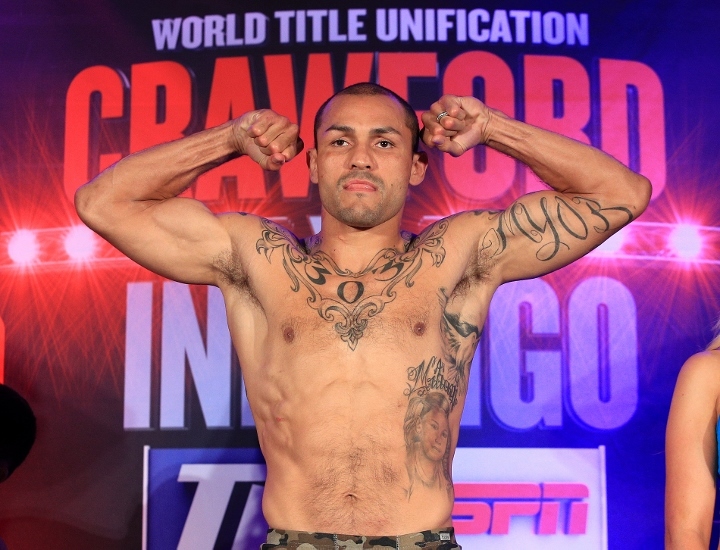 Lincoln, Nebraska - Mike Alvarado (38-4) continued his way on the comeback trail with a wicked knockout of Sidney Siqueira (21-13-1) in their welterweight contest. Alvarado had to survive several rocky moments early on as Siqueira came out guns-a-blazing in the first three rounds. Alvarado went down in the third but it was correctly ruled a slip. Alvarado started to come on in the fourth with his uppercut finding a home. An uppercut had Siqueira hurt midway through the round and then a huge right hand put Siqueira down with his head bouncing off the canvas. The TKO will be in the running for Knockout of the Year. The former super lightweight titlist has now won 4 fights in a row. The time of the stoppage was 1:20. Local favorite Steve Nelson (9-0) kept his perfect record intact with a hard fought unanimous decision victory over a game Cesar Ruiz (5-6) in their light heavyweight bout. Ruiz was significantly smaller than Nelson but kept charging forward throughout the fight. Nelson pitched a shutout 60-54 on all three scorecards but had to work hard in only his second bout that has gone the distance in his 9 fight career. Former heavyweight title challenger Bryant Jennings (20-2) returned to the ring with a TKO victory over Daniel Martz (15-4-1). The fight was Jennings' Top Rank debut after a two and a half year layoff. Jennings started off fast while Martz was already fading in the first round. Martz went down three times in the second with the referee waiving the bout off after the third knockdown. A combination of punches sent Martz to the canvas for the final time at the 2:18 mark of the second round. In the first bout of the evening, heavyweight contender Dillian Whyte (21-1) entered the ring for the first time since his December victory over Dereck Chisora that was a 2016 Fight of the Year candidate. The Matchroom promoted fighter won his first fight on US soil, stopping Malcolm Tann (24-6) in 3 rounds. A right left two-punch combination to the body sent Tann down for a fourth and final time. The official time of the stoppage was 2:36. I like Alvarado. Slow though. Funny skill set, very strong but a little shaky too. Alvarado was known for his brutal power when he first came up. His KO of joshua clottey's brother was inhumane. He almost killed him.